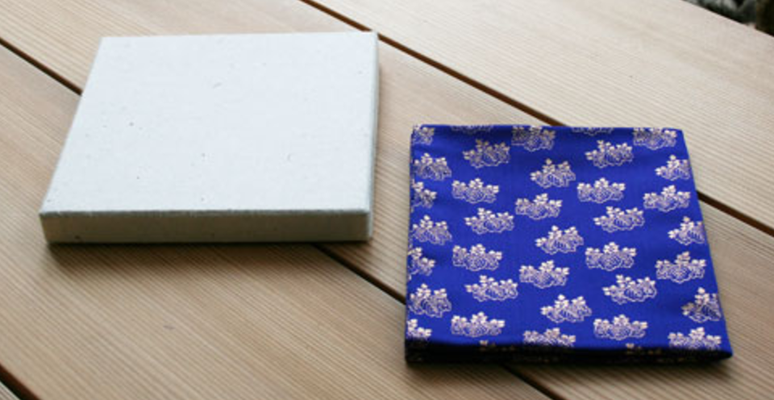 A cloth carry wallet for kaishi paper, fukusa (purifying cloth), fan and other items. 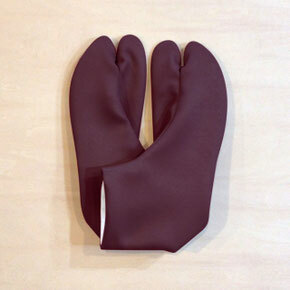 Kaishiire differ for men and women. 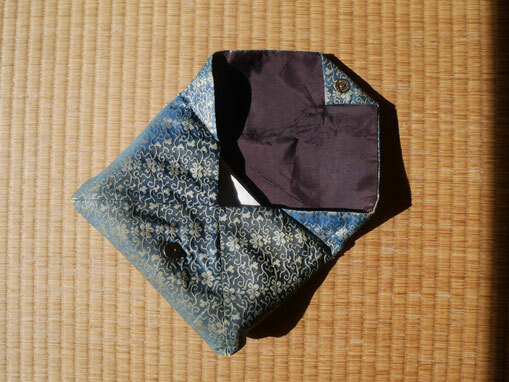 Also called 'fukusa-basami' or 'sukiya-bukuro'. 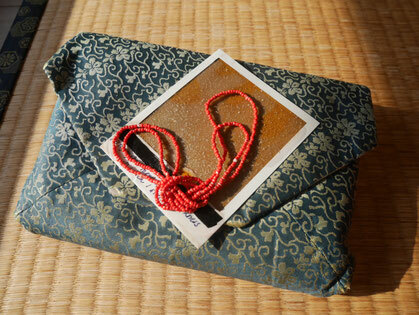 Generally, a dashibukusa suffices, however, it is better to carry a fukusa for use in the temae. Men’s are purple, women’s are red. 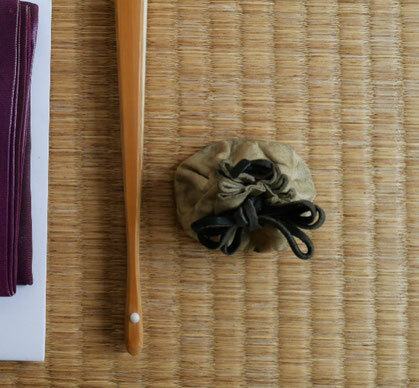 For koicha (thick tea), rather than drinking it by using the host’s fukusa, it is preferable to use your own ōbukusa. 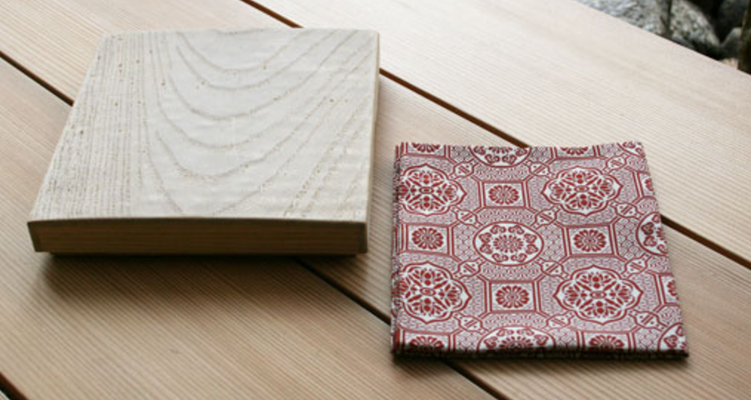 Choose or make an ōbukusa from a fabric you like. 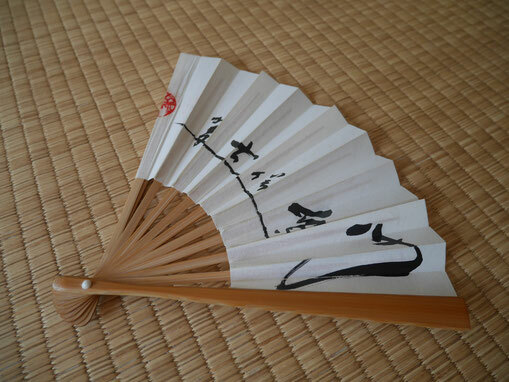 You may also simply use a fukusa as mentioned above. 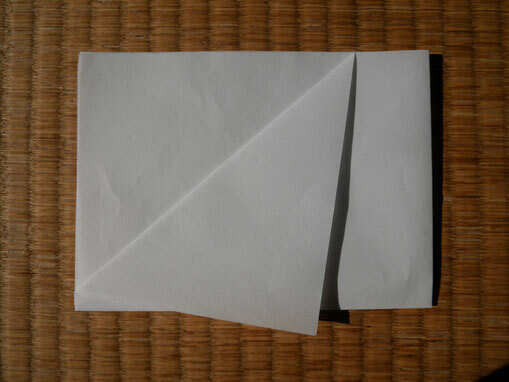 Kaichū-shi - paper 'envelope' for the inside pocket of kimono. Used to store all the other items except the fan and incense pouch. 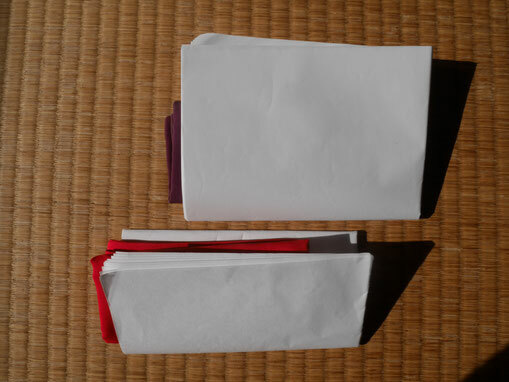 For men, the kaichū-shi is made from nine sheets of hanshi paper folded into quarters. 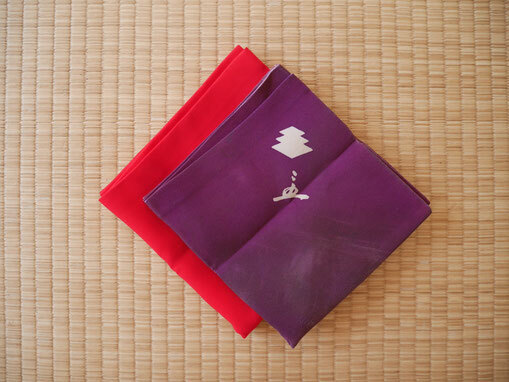 For women, the kaichū-shi is made from seven sheets of hanshi paper, folded into half, then into thirds. Handmade Japanese Hanshi paper that is sold commercially is folded and used. 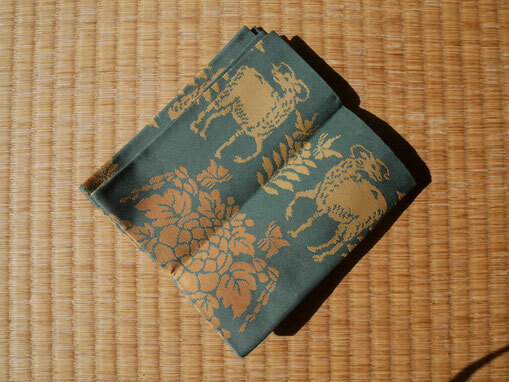 Kaishi is used for many things such as putting sweets on and wiping the bowls and dishes used in kaiseki. Accordingly, an ample amount is carried. One changes their tabi to a clean pair before the start of the chaji. Kuromoji are normally presented together with the sweet. However, it is prudent to carry one’s own. 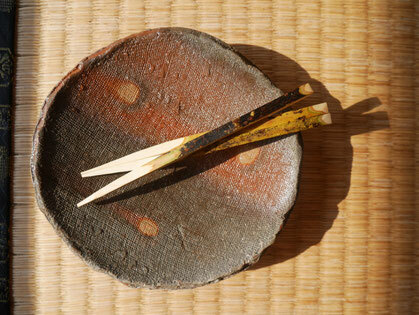 In the Ueda Sōko School, 4 sun kuromoji are used. Carry with you something of personal significance.